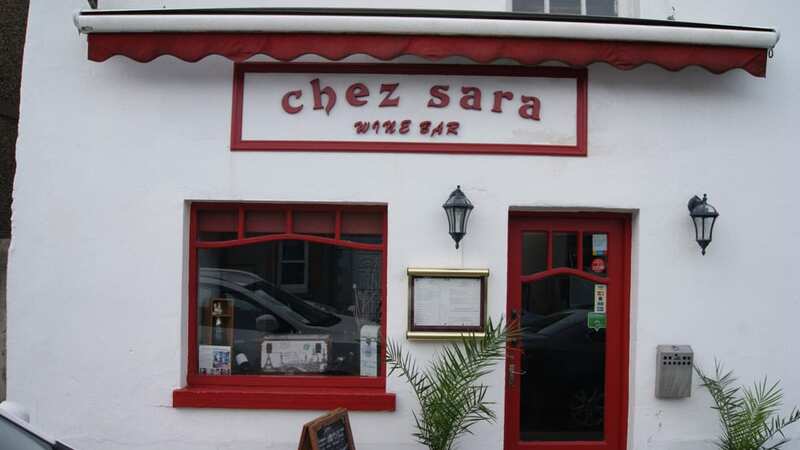 Chez Sara is a cosy little restaurant/winebar nestled away on Malahide’s Old Street. They describe themselves as being Mediteranian in style, with a focus on fish and steak. I adore seafood and unfortunately Malahide is really lacking a focus on it, which is a shame for a seafood town. I booked the restaurant on a Tuesday evening for my birthday and was surprised that the restaurant was almost full, which was a great initial sign! I was very happy to hear them live up to their own description as the waitress listed off the delicious sounding seafood daily specials. Once I hear anything about a fish platter, I’m sold! There’s a really good selection of starters on the a la carte menu with something for everyone from baked goats cheese to French onion soup as well as some daily specials. My scallop starter was presented beaultifully with the fresh flavour of the asparagus and fennel puree working brilliantly with the scallops, which may have been just a touch under seasoned for me. My dad’s crab claws were the star of the show, meaty, fresh crab claws with a garlic chilli butter. Ian’s soup of the day, celeriac and truffle, was also excellent. I was delighted to see some more crab claws with my seafood medley main, along with some delicious prawns, sea bass and hake. The fish was so good that I was happy with the simplicity of the dish, served with just a drizzle of basil oil. It was quite a large portion and my side of rocket salad with roast peppers was a nice light accompaniment. Ian had the steak with seriously amazing chunky chips and peppercorn sauce. The steak was tender, delicious and perfectly cooked. 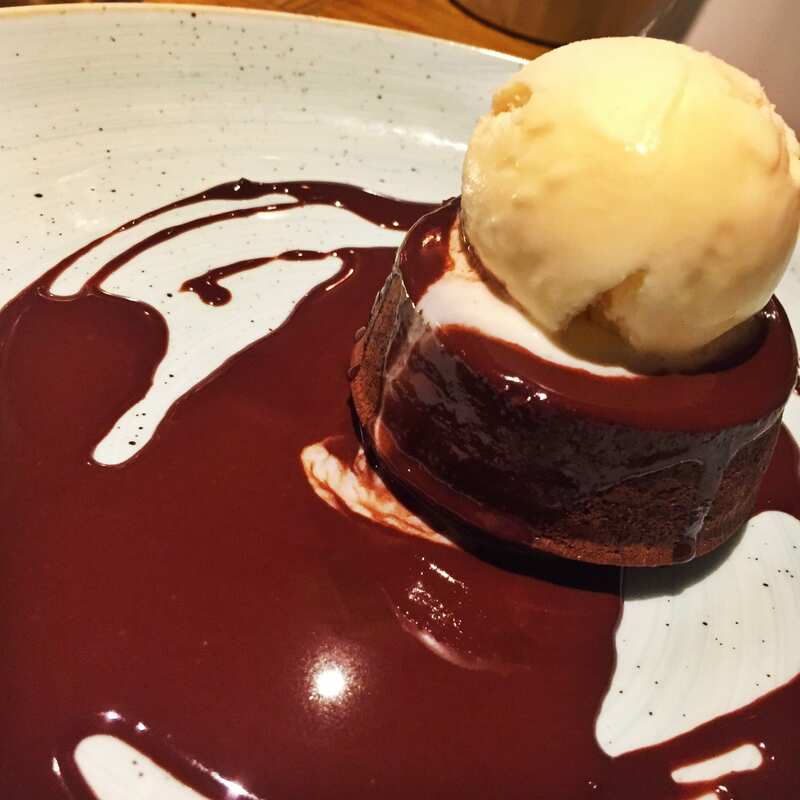 We were reaching peak food coma by the time we looked at the dessert menu, but when I saw chocolate fondant on the menu I had to have it. 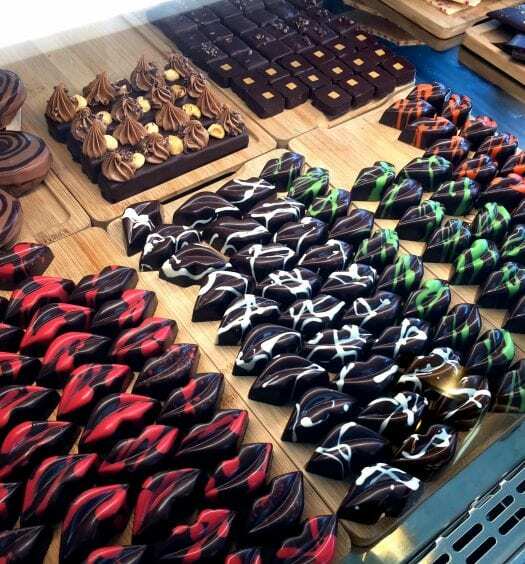 I am not really a dessert person but chocolate fondant is my weakness! There is nothing more disappointing than digging into a chocolate fondant to see no molten chocolate oozing out of the centre, and this was absolutely not the case here. It was definitely one of the better fondant’s I’ve had. Chez Sara offers reasonable prices for the standard of the food, with starters ranging at about €6 to €12 and mains averaging at about €20. 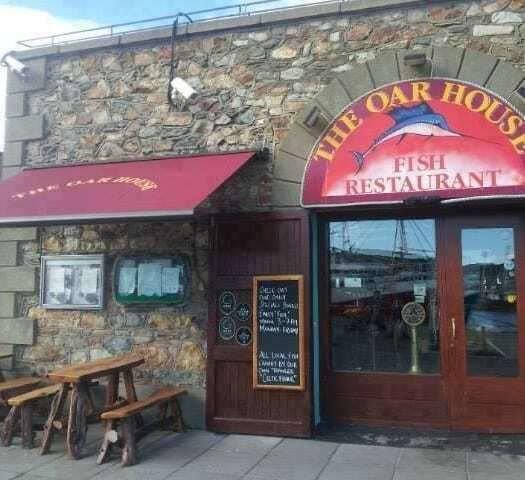 They also offer a good value early bird which runs from 5-7pm Sunday to Thursday from and costs €19.95 for two courses. I can’t believe Chez Sara has been open for 13 years and I had never been until recently. I can see why this is a firm neighbourhood favourite.